SEATTLE – My last appointment with a psychiatrist was two weeks ago, when we talked mostly about relationships. It was far more pleasant than that of previous sessions, in which topics ranged from depression to insomnia to suicidal thoughts. My brain, you see, hasn’t always been good to me. It has been known to cripple me with anxiety or sink me with despair. Fortunately, the people I’ve turned to for help have been great to me – talking me through hardships, offering coping strategies and, yes, prescribing medication. Right now I’m on an antidepressant called Pristiq, which I pair with a more benign drug called Buspirone. And after experimenting with other medications such as Effexor, Lexapro and Remeron, I think I’ve found the combo that suits me best. I feel good now, really, but I’ll likely have to treat my mental health for the rest of my life. So why am I telling you this? Simple – because there shouldn’t be a stigma attached to admitting this stuff. 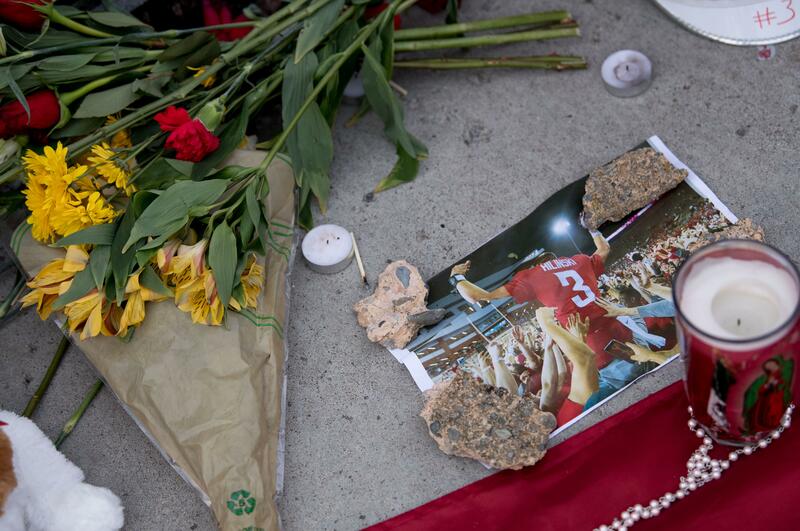 Washington State quarterback Tyler Hilinski shocked the state and saddened the country when he apparently took his own life, according to the Pullman Police Department, on Tuesday. The 21-year-old was known as one of the more effusive, gregarious members of the team, and his death blindsided the WSU community. I don’t know what Hilinski was experiencing before his final moments. I don’t know if the pain had been festering for months, or if it slammed him suddenly like a monsoon. What I’m positive about, however, is that it was preventable – even if he couldn’t fathom it at the time. Studies by the Substance Abuse and Mental Health Service Administration (SAMHSA) show that about one in five Americans suffer a mental illness each year. Additionally, the Centers for Disease Control and Prevention report that half the adults in the United States will develop a mental illness in their lifetimes. And we’re not necessarily talking about a spell of sadness after a breakup or an avalanche of anxiety upon taking a new job. We’re talking about enduring anguish that makes squatting 500 pounds seem easier than simply getting out of bed. Lord knows I’ve been there. When Pro Football Hall of Fame linebacker Junior Seau killed himself in 2012, I penned a column describing my own suicidal fantasies. I wanted readers to know how effective therapy was, but I was terrified of what the reaction would be. You know what, though? I shouldn’t have been. Discussing one’s ailing mental health should carry no more shame than discussing one’s rheumatoid arthritis, high blood pressure or torn ACL. Prozac shouldn’t be viewed any differently than amoxicillin or prednisone. Yet, according to an article in Psychology Today, 60 percent of those with a mental disorder don’t seek treatment. Plus, debilitating depression doesn’t show up on an X-ray or MRI exam, so people who haven’t experienced it might not understand. According to a study from the CDC, only 25 percent of adults with mental-health symptoms believe people are sympathetic to their plight. That’s why Stuber is dedicated to providing copious resources to those suffering mentally. She emphasizes how common suicidal thoughts are and aims to eradicate the stigma. She also has criticized some of the hurdles that can come with preventing suicide. Fortunately, there are outlets such as the suicide prevention hotline (1-800-273-8255) to assist in the short term. (I’ve called it – it helps.) One can also text HOME to 741741 to text with a crisis counselor. These thoughts plague everyone, from All-Pro sports stars to Oscar-winning celebrities. Thinking them doesn’t make you weak. If you went to the mall or movie theater today, you were surrounded by people in mental pain. Be kind. If you hang out with a group of friends this evening, one of them likely will be suffering. Do your best to listen. And if you are in a seemingly insurmountable funk – seek help. It won’t always be a quick fix, but I promise you’ll get better and eventually feel normal. Normal can be an incredible feeling sometimes. If you’ve been anxious or depressed or suicidal, normal can beat out any high or buzz. So let’s try to keep that word in mind, because when it comes to discussing mental health – that should be normal, too.